GAMBLING in Maryland Part 2: This is the second part of a four-day series by Capital News Service examining how Maryland uses gambling to raise revenues. That 2012 referendum on gambling had propelled Maryland’s schools into the spotlight of a multimillion-dollar campaign where supporters touted the message that more gambling would be a win for education. But the measure, approved by voters that fall, has actually worked to send more money to the casino companies in fiscal year 2014 than to the education fund that was established when the state first legalized casino gambling in 2008. The 2008 law set up an Education Trust Fund to receive the lion’s share of gambling revenues from slots at five new casinos: About half of the slots revenue went directly to the education fund and an additional 18.5 percent to other state programs. The casino companies generally kept no more than 33 percent. But the 2012 law included concessions for the companies to ease their concerns over the addition of a mega-casino in Prince George’s County. 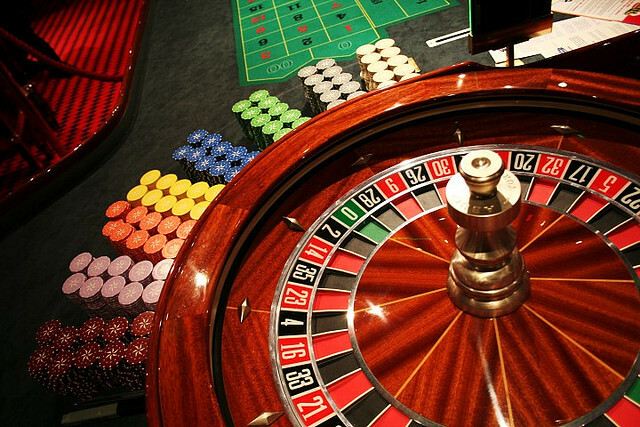 The legislation allowed all casinos to add lucrative table games, such as poker, craps and roulette. And it allowed the companies to keep 80 percent of the table game proceeds — while also reducing the share of slots money that goes to the education fund. As a result, casino companies have kept more than $334 million of the revenues in fiscal 2014 while the Education Trust Fund has gotten close to $270 million — marking the first time since casinos opened in Maryland that more of the gambling proceeds will go to the casino companies than to the education fund. And while expansion of gambling has raised more money overall both for casinos and the education fund, the money in the Education Trust Fund has replaced — not added to — general fund revenues normally spent on schools. O’Malley, Senate President Thomas V. “Mike” Miller Jr. and House Speaker Michael E. Busch all declined to comment on the Capital News Service findings, according to their spokespersons. The casino revenue is “helpful, but it’s not helpful in the way that some politicians have claimed it’s helpful,” said Charlie Cooper, secretary of the Maryland Education Coalition. The plan to legalize slots had come from an unlikely source. O’Malley had spoken out against gambling proposals as mayor of Baltimore. But when he became governor in 2007, Maryland faced a $1.7 billion structural deficit in the midst of an increasingly dismal economy. He called for a special session that fall to address the state’s budget woes, announcing plans to generate revenue through tax reform and the authorization of slot machines in five casino locations around the state. But he had to win over lawmakers who blocked attempts to legalize casino gambling under former Gov. Bob Ehrlich. So O’Malley recommended that the legislature approve a plan for legalization and then put it up for a vote at referendum. He also increased the number of slot machines in his proposal to 15,000 from 9,500, appeasing slots supporters not thrilled about the added step of a referendum. After contentious debate, the deal that emerged from Annapolis was one that taxed casinos at among the highest rates of any state in the nation. Maryland would keep about 67 percent of the revenue from slots, with most — roughly half of all casino revenue — going to an Education Trust Fund dedicated to schools. The Maryland Chamber of Commerce and AFSCME, the American Federation of State, County and Municipal Employees, threw their support behind the slots measure — as did the gambling industry. Pro-slots groups outspent opponents 7-to-1, with the Laurel Racing Association and Penn National Gaming contributing a combined $5 million to the total $7.1 million spent on supporting slots. The Maryland teachers union voted to endorse the measure too, after Miller, the Senate president and a leading slots advocate, warned the union that education spending could face significant cuts if the slots measure failed and the state’s budget trouble continued. On Nov. 4, 2008, Maryland residents approved the slots measure with nearly 59 percent of the vote. Before even one of the original five casinos had opened, Maryland lawmakers began weighing the question of expanding casino gambling. Miller, a Democrat from Prince George’s County, announced an interest in early 2010 in adding a sixth casino there. Not long after, the state panel charged with awarding the casino licenses recommended that lawmakers consider allowing table games to help Maryland compete with gambling in surrounding states. Pennsylvania, Delaware and West Virginia had all moved to allow table games after Maryland passed its slots-only measure in 2008. In June 2012, MGM Resorts International announced its interest in building a casino at the National Harbor in Prince George’s County, if presented with an acceptable deal — which included a lower tax rate and table games. O’Malley called a special session the following month to debate a gambling expansion that would include a sixth casino and Las Vegas-style table games. But lawmakers met with fierce resistance from some of the companies holding Maryland casino licenses, especially the Cordish Cos., owner of Maryland Live! casino in Anne Arundel County. Company representatives complained that the proposed sixth casino would be an unexpected, and unwelcome, source of competition that would diminish its customer base and hurt its bottom line. In 2012, demonstrators protested tax cuts for casinos. So, the legislature offered tax breaks to the companies. Casino companies would get to keep 80 percent of table game revenue and give 20 percent to the Education Trust Fund. The education fund’s share would drop to 15 percent in 2017, when the local governments that host casinos would begin receiving 5 percent of table game revenue. The education fund’s share of slots revenue would shrink too. The General Assembly passed the measure, sending it to a referendum as required by the 2008 slots law. MGM, with its eye on the sixth casino license, gave close to $41 million to the pro-expansion group, For Maryland Jobs and Schools. Penn National Gaming, with casinos in West Virginia, Pennsylvania and Perryville, Md., led the opposition, spending more than $44 million, according to the National Institute on Money in State Politics. The teachers union took no position. After the most expensive campaign in state history — totaling more than $94.9 million — the referendum passed with 51.9 percent of the vote. Sen. James Brochin, D-Baltimore County, in a recent interview said he supported legalization in 2008 but voted against the expansion bill because he thought the state was giving far too much away to the casinos as part of the compromise. “The tax break that we gave the casino operators was outrageous,” he said. Maryland Lottery and Gaming Control Agency officials say that granting casino companies a bigger share of the revenue from table games makes sense because those games cost more to operate than slot machines, with additional expenses including pay for dealers. The casinos also received breaks for taking over ownership of the slot machines from the state. Additionally, a lower tax rate allows casinos to invest more in marketing and promotional programs that bring in more customers and more money, said Will Cummings, of Cummings Associates, which did a study for the state gambling agency. In fact, casino revenues have soared since table games debuted in Maryland last spring, sending more total dollars to the state as a result. Even so, Brochin argues, the state is taking in millions of dollars less than it should be. As a result, the casino industry has pushed ahead of the education fund as the biggest beneficiary of state-sponsored gambling in Maryland. The amount of revenue going to casino operators each month of fiscal year 2014 has surpassed the amount going to the Education Trust Fund. For the first time since Maryland legalized casinos, the casino companies are on track to take in more money this fiscal year than the Education Trust Fund. “It was just bad public policy,” Brochin said. For Maryland schools, the argument over how much should go to casinos versus the education fund has been strictly academic so far. Neither the 2008 nor 2012 legislation specified that the state should spend more on education with the gambling revenue. And the legislature hasn’t. Since the first casino opened in Maryland, almost $700 million gambling dollars have gone into the Education Trust Fund. But lawmakers have used that money to replace rather than increase general fund revenues normally spent on schools. In other words, they have used it to free up general fund money for other purposes. While the state’s education budget has fluctuated, that has been due largely to other factors like federal contributions. There’s another reason the casino money has had little obvious impact on schools: Last year’s education budget totaled more than $7 billion, with the $285 million in the Education Trust Fund accounting for just a small fraction. Still, education advocates have a list of things the extra money could be used for, from expanding access to high-quality pre-K to improving mental health services at schools.